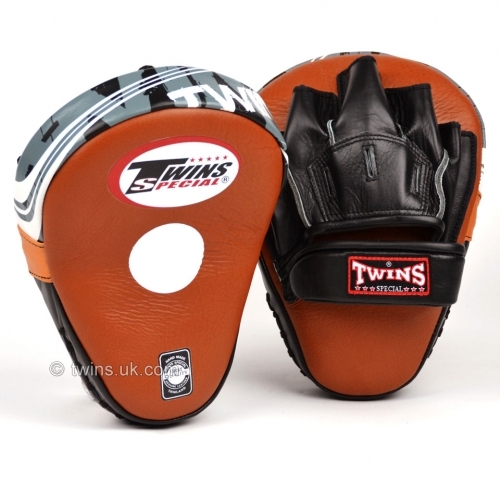 High quality curved focus mitts from Twins Special designed for a trainer to catch punches easily. Lightweight design for increased speed. Ball grip on palm and padded wrist for extra comfort.